When you’re travelling with kids the game gets a whole lot more complicated. You have to think of snacks, stops that will engage them enough so you don’t live to regret bringing them along, or, you get hit with the crisis moment when you’re panicking to find the nearest washroom. Whatever the case, it’s just not as easy as it used to be. You might travel a little less than before, but hopefully, it hasn’t stopped you. Like you, we often we find ourselves wondering how it’ll all work out too. I had made one request. 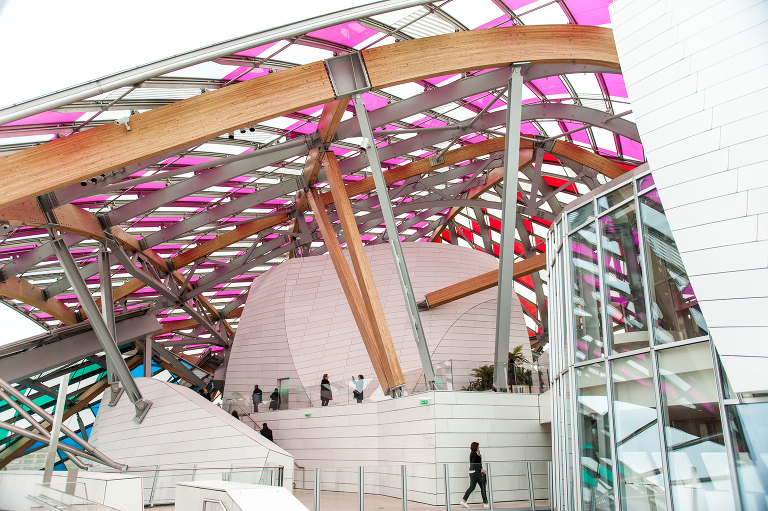 To visit the Fondation Louis Vuitton, built by my favourite architect, Frank Gehry, before the colourful sails were to come down in the first week of May. 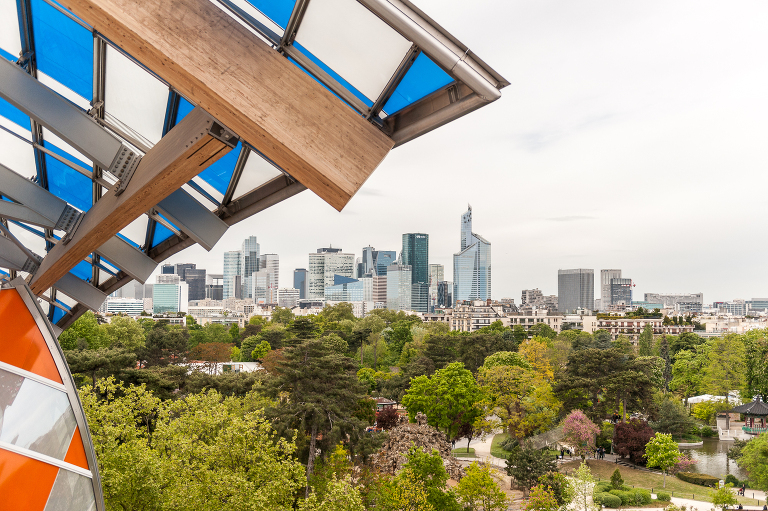 It’s located inside Bois de Boulogne, a large park just outside the péripherique of Paris and this was the day. I nearly backed out while standing in line to get in because I was so worried I would be the only one interested but we stayed and I’m so glad we did. Taking an 8-year-old to an art gallery can be dicey, as I’m sure you can imagine. Thankfully, I’m here to report that it is possible. It was a bit of a happy surprise really. 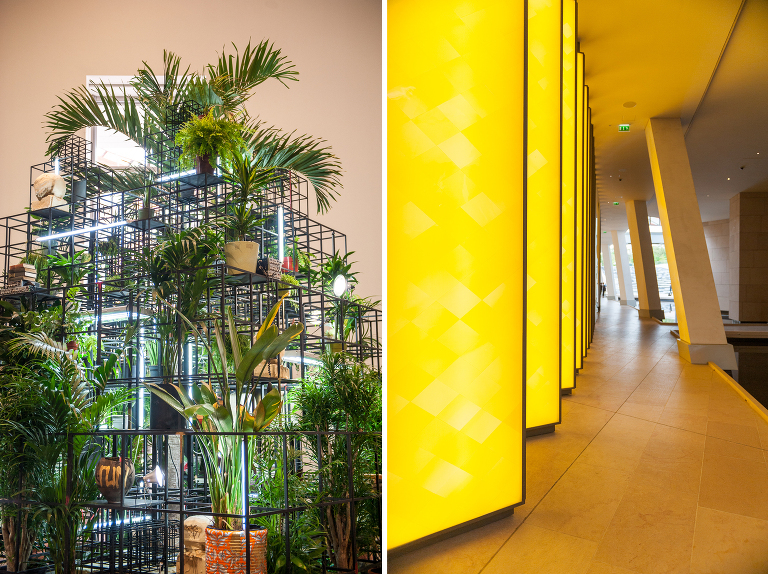 When you purchase entry into the gallery you also get access to the Jardin d’Acclimatation. What’s that? Well, the Jardin was opened in 1860 by Napoleon III and it was originally a zoo. 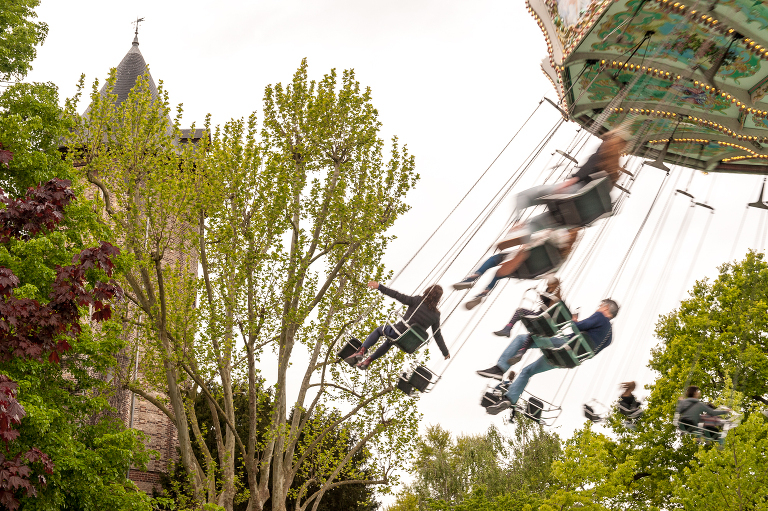 More recently it has been transformed into a small amusement park for kids complete with rides, animals, a puppet theatre and even a science museum. Thank you, universe! 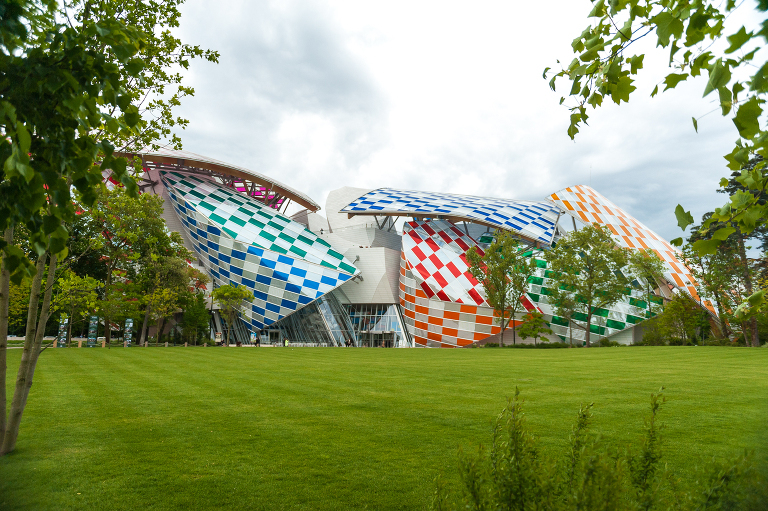 The best part is, your ticket to Fondation Louis Vuitton allows in and out access so you don’t have to cut your visit short. When you’re done with these two you can also explore the rest of Bois de Boulogne. There are bike rentals, row boats or simply feed the ducks. We packed ourselves a little picnic (Jérémie even had snacks in the car for the ducks) and it was a great way to spend a Sunday afternoon. So if you’re coming to Paris as a family, this might just be one way to have it all.